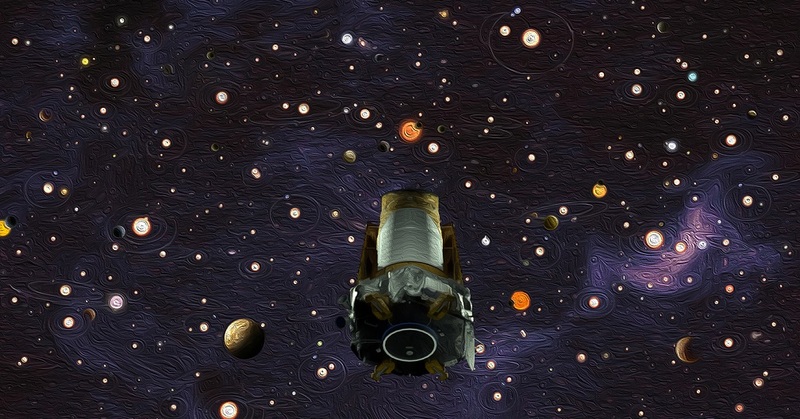 On Thursday evening, NASA’s Kepler space telescope received its final set of commands to disconnect communications with Earth. The “goodnight” commands finalize the spacecraft’s transition into retirement, which began on Oct. 30 with NASA’s announcement that Kepler had run out of fuel and could no longer conduct science. Coincidentally, Kepler’s “goodnight” coincides with the anniversary of the death of its namesake, German astronomer Johannes Kepler, who discovered the laws of planetary motion and died 388 years ago on Nov. 15, 1630. The final commands were sent over NASA’s Deep Space Network from Kepler’s operations center at the Laboratory for Atmospheric and Space Physics, or LASP, at the University of Colorado in Boulder. LASP runs the spacecraft’s operations on behalf of NASA and Ball Aerospace & Technologies Corporation in Boulder, Colorado. Kepler’s team disabled the safety modes that could inadvertently turn systems back on, and severed communications by shutting down the transmitters. Because the spacecraft is slowly spinning, the Kepler team had to carefully time the commands so that instructions would reach the spacecraft during periods of viable communication. The team will monitor the spacecraft to ensure that the commands were successful. The spacecraft is now drifting in a safe orbit around the Sun 94 million miles away from Earth.